Welcome to SunOven.com. We are pleased you have chosen to spend some time with us. 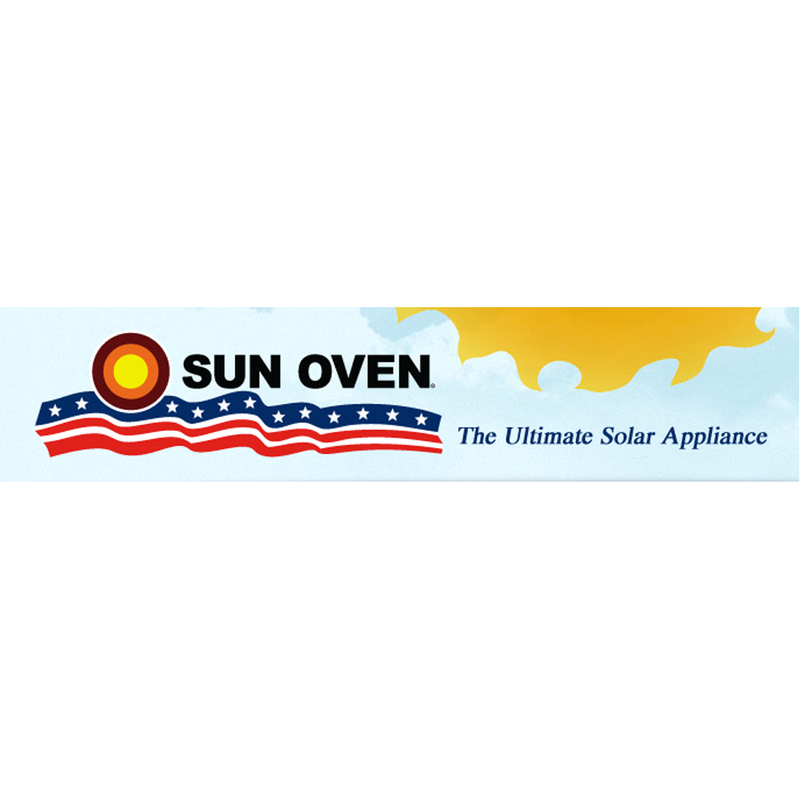 SUN OVENS International has a simple business model. We seek to help people in the U.S. save energy and prepare for emergencies while using a portion of our cash flow to promote SUN OVEN® cooking in deforested developing countries. For the past 28 years SUN OVENS® have been proudly made in the U.S. We believe in free enterprise and seek to take a private sector approach to helping solve problems, which are often left to governments and nonprofit organizations, by developing self-sustaining projects in Third World nations. We strive to assist entrepreneurs to make and market GLOBAL SUN OVENS® in the country in which they will be used. In addition, we assist in implementing projects to help orphanages to gain self-sufficiency through the sale of bakery goods sun-baked in VILLAGER SUN OVENS®. The best dehydrator I&apos;ve used. There is quite a learning curve, especially for baking. I&apos;ve had some interesting loaves of bread. The family loves the final result and I am definitely the most happy. Product works well, we have had several successes and I recommend this product to anyone I know who are looking for a quality product that would surely not disappoint. You can put your trust on this one. I have always felt that this company was interested in helping me achieve my goals in solar, prepping, and cooking. I love the informative monthly newsletter and the occasional sales items. I&apos;ve been too busy lately to use this particular oven, but it performs wonderfully well if you want a solar oven that matches the cooking times as your gas oven recipes. It&apos;s not as portable as the fold up ovens, but it does a more accurate and though job of preparing your meal; and it&apos;s use of full size pots is very convenient and time saving. I love my sun oven, it&apos;s a great convenience. I consider the cost a wonderful investment. I even have the stack-able pans and drying racks for it and love them just as much as the oven its self. Product works well, we have had several successes and I recommend this product. I love my sun oven, it's a great convenience. I consider the cost a wonderful investment. I even have the stack-able pans and drying racks for it and love them just as much as the oven its self. I'm loving my oven and have told numerous friends about it. One of my friends is going to order two ovens! Can't wait to dehydrate some things this week. Thank you for a great product. Have used it twice and both were a success! Sorry I waited so long to purchase. Love it! Off to a good start with butternut and spaghetti squash and sweet potatoes! Love this oven. Already used it & the food was awesome. The banana bread we baked was to die for & much better than the regular oven baked. So much more moisture! Great for summer oven cooking. We have used the Sun Oven several times and enjoy it. Works great. Sun Ovens International is a company that I can recommend to all. I will definitely give this one a high rating for efficiency and customer care. Thank you. Great Oven. This is my 3rd one. Love them.